A total of 14,500 people movements to and from the project site are carried out each day. 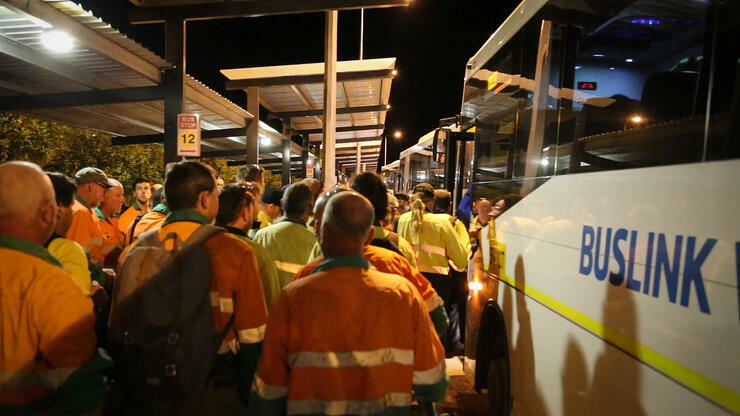 A massive endeavor, or what Brian Hannon, Buslink Australia Group Chairman, calls, “a truly international-scale venture.” The fact that this project went to a Territory company is a boon for both the local economy as well as the community. Who did the project go to? Buslink VIVO. Born out of a joint venture between two experienced logistics partners—Transdev, one of the world’s leading private and public multimodal transport companies; and Buslink, an Australian-owned national public and private bus company with over twenty years of experience—the new company was founded in 2013. By November 2014, they had a fleet of more than 130 busses. 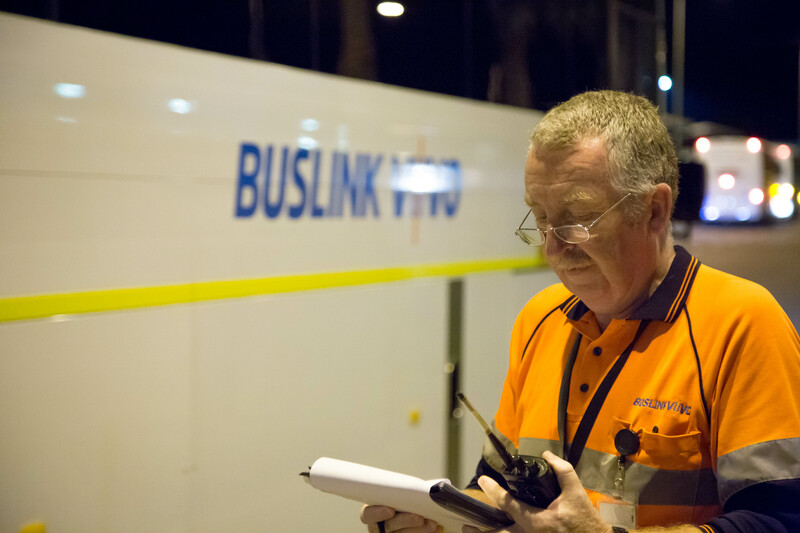 Buslink VIVO provides safe, reliable, and cost effective employee transport solutions tailored to their customers’ needs. The Ichthys LNG project is just one of their benchmarks, another was their victory in the 2014 Commercial Construction Awards. The company’s one problem was reaching their non-desk workers in a timely fashion, especially their drivers. 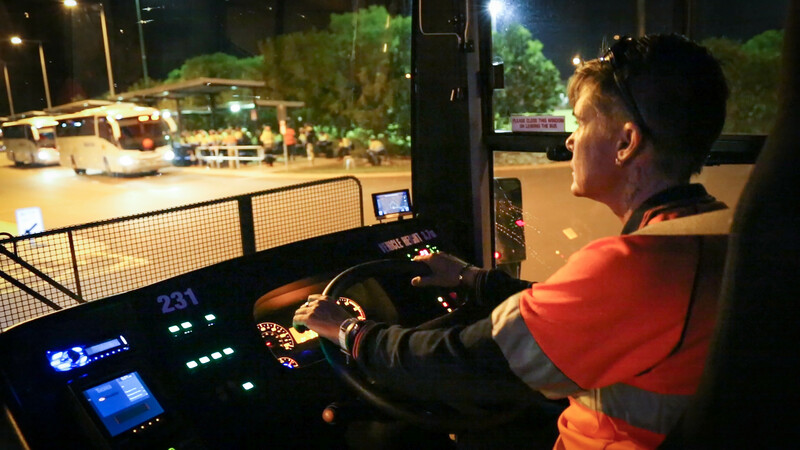 “The very nature of our business means that nearly all of our staff (bus drivers) are out on the road in their vehicles during the working day. This means distributing information to everyone is a logistical nightmare. Particularly when it comes to safety alerts or urgent information (road closures, storm warnings, accidents, etc),” said Eliza, Buslink VIVO’s National Business Development Manager. This is a common problem for many transport and logistic companies. Not only is communication to the non-desk workforce extremely difficult, but it requires an entirely new approach to the ways how communication should be made. In order to reach every single employee, no matter the time or place, email and newsletters are no longer sufficient. “In order to meet the changing reading habits of our employees, we need to provide them with internal information that uses up-to-date channels,” agrees David Rollik, communication expert at Berliner Verkehrsbetriebe (Berlin Public Transport) BVG. The solution can often be found right inside an employee’s pocket: mobile communication over smartphones. Employee communication and engagement apps provide multiple opportunities for reaching more employees, and do so faster and on a device they already use. Buslink VIVO was looking for a distinctive communication tool, which led them to the Staffbase app. 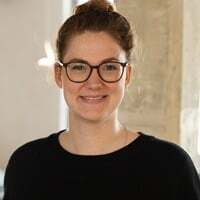 “Our drivers are able—when it’s safe—to check their app and to remain informed across all the company updates,” Eliza stated. And that’s not the only use case the app finds in the public-transport sector. “We also load our rosters into the app, have a social page area, and comments and feedback facility. Logistically it solved our concern with educating our team all at the same time, and socially it solved our concern regarding [our desire for] creating a feeling of being part of a team, even when working in a very isolating independent job,” Eliza concludes. Apart from its winning engagement factors, the app also serves several other very practical use cases: driver's maps, for example. The purpose-built Manigurr-ma Village near Darwin that opened in 2013 provides a home for the 3,500 “fly-in fly-out” personnel needed to complete the onshore facilities at Bladin Point, which should give a good impression of the massive scope of the project. Having up-to-date maps available on their smartphones is key for on-time deliveries for Buslink VIVO’s drivers. The app allows immediate and consistent information delivery to our entire workforce whilst creating an engaging platform for our workforce to feel part of a team. The app, which was dubbed “BVConnect,” was launched in the app stores in late August of 2016, only six weeks after the initial idea. Today, 73% of its users actively take part in the company communication. The integration of an existing program helped lead to a seamless transition and added value for a disconnected workforce that’s on the job 24/7. In addition, employees have the opportunity to rate the app with a “happiness” plugin. The three well known smiley-face emoticons provide the opportunity to give feedback and help shape the app experience. But the company’s isn’t resting on its laurels. Their urge to innovate and move forward has lead to a new idea: “Developing an outward-facing app for clients to use would be fabulous!” says Eliza. The plugin set and the flexible API of their app will allow the company to plan for the future even after the end of the Ichthys LNG Construction Project. Good on you, mates! The future is looking blimey bright.